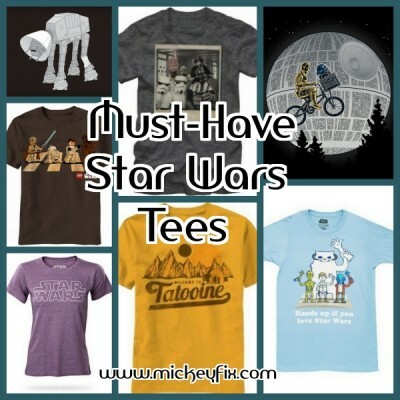 We’ve compiled our best, most loved, most talked about Star Wars T-Shirts to share with you in one little column! Fact: a Star Wars fan can never have too many Star Wars T-Shirts. True. Statement. Present company included. For one, if you’re a member of Admiral Ackbar’s Underwater Army, you want the world to know. Second, a funny Star Wars t-shirt garners you immediate street cred among the legion Star Wars fans of planet Earth. Lastly, if you’re not planning to wear your costume during the ENTIRE Star Wars Weekend, you need backup, and a SW Tee is just the thing. So, sit back and Use the Force of your fingers to land a new Tee or Two for your favorite Star Wars Fan! Lightsabers not included, but strongly recommended as an add-on to your purchase if you are not already in possession of one (or twelve). The folks over on the Dark Side will do anything, including using propaganda posters advertising bacon, to get you to join their ranks. Turns out, their bacon is pretty grody because it’s made out of Gamorrean Guards, making it a LITTLE gamey. 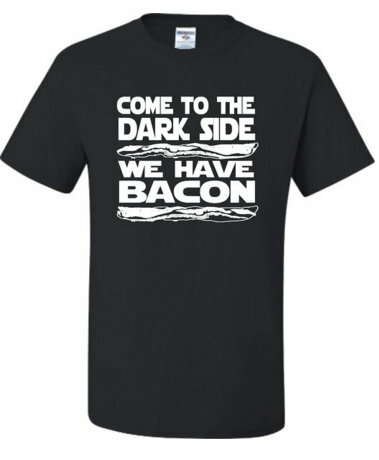 But if you MUST show your love for the Dark Side, you may as well do it in a Star Wars Bacon Tee. It’s especially hard for the Big Guys to eat crow. The walk of shame back to base is a long one when you’ve been beaten by the Rebel Alliance. 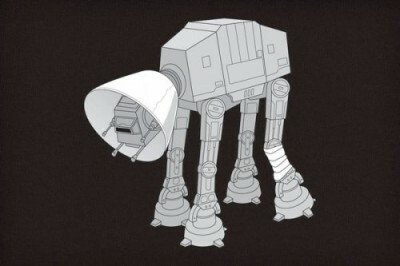 Show the world it’s not always the nice guys who finish last with this AT-AT Battle Damage Tee! I sure hope they’re crossing when the “Walk” sign is blinking, because that would make for one heck of a bricky mess if a car hit those little dudes. 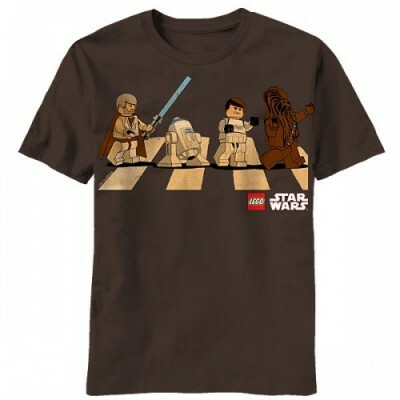 Being ginormous fans of the Beatles over here at Mickey Fix and maxinormous fans of Lego Star Wars, we ’bout flipped when we found this Star Wars Lego Abbey Road Mashup Tee. Lucky for us, we were in good company, since y’all were mad (British mad) for it, too! 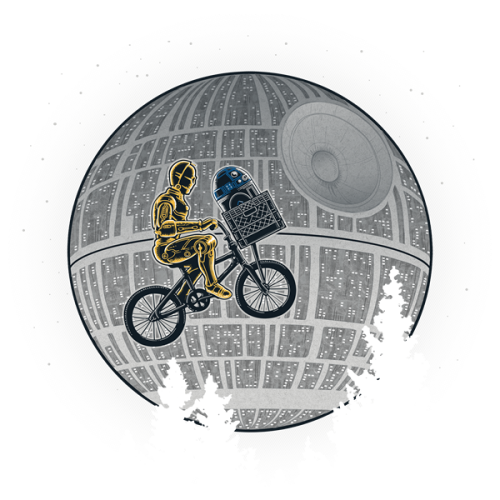 Speaking of good Mashup Tees, boy howdy did the crowd go wild for this Star Wars ET Mash-up T-Shirt! There’s something endearing about that little grey guy with the light up finger, so for those of us whose love of ET is paralleled only by our love of Star Wars, this tee was a win-win-win (extra win thrown in out of sheer joy). 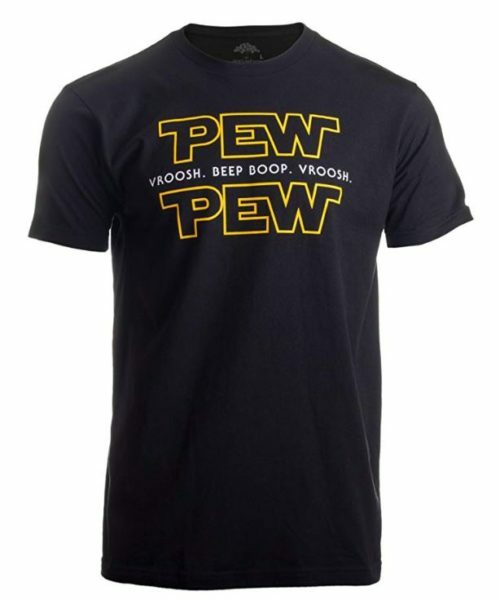 For anyone with a Ph.D. in Star Wars battle sounds, this Pew Pew Tee might be right up your Death Star. We loved this one because we could imagine the scenario going on right before this pic was snapped. Darth had great intentions of making the perfect Christmas Card to send to friends and family. Gathering his Trooper Minions around him, he put out his hand as if to say, “Happy Holidays from the Dark Side!” and then Chewbacca sneaks up. Darth yells, “Chewie! Get OUT of the frame! I swear to Palpatine, I will force choke you into next Sunday!” Uproarious Wookie Laughter ensues. Nothing says hilarious like a classic Wookie Photo Bomb. My kingdom for a girlish Star Wars Tee! Oh, wait! Here’s one now! 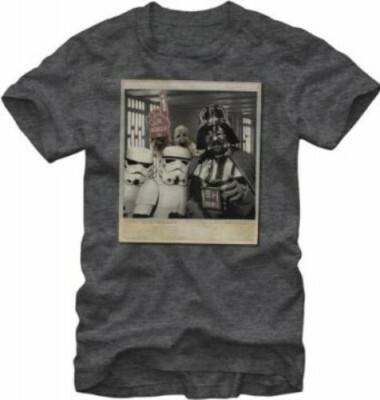 We just fell in love with this super cute Women’s Star Wars Tee. Not that there’s anything wrong with the boyish tees. We’ll rock those and make them look good, too. But YAY for a more feminine-ish Fan shirt that we’d wear whether we were Star Wars fans or not! 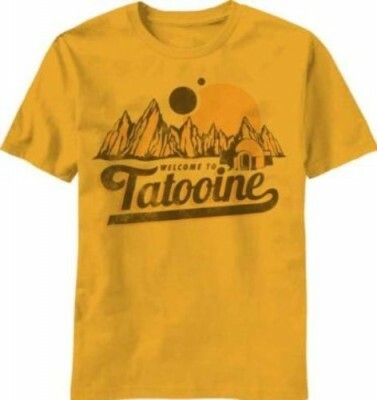 Omigolly, BIG SWOON over this Welcome to Tatooine T-shirt! I saw this one in real life at Star Wars Weekends after we had written about it and I think I did a really loud squeal. I do that over a lot of Star Wars things, so my family wasn’t surprised, but I think the guy wearing the T-Shirt was. It’s the perfect yellow: not too bright, and not too dijon-y. Plus it looks super soft, although I didn’t touch the frightened man wearing it. It’s got that good, faded-out look to it that makes it look like you’ve been wearing it since ’77. Just be kind to folks who squeal at you when you’re wearing it, k? They can’t help themselves. Boba’s life wasn’t always easy, but he made the best of his meandering bounty hunting days and bought himself a Jetpack to make up for it. Darth may be the bad dude with the scarier breathing apparatus and all, but he can’t FLY. 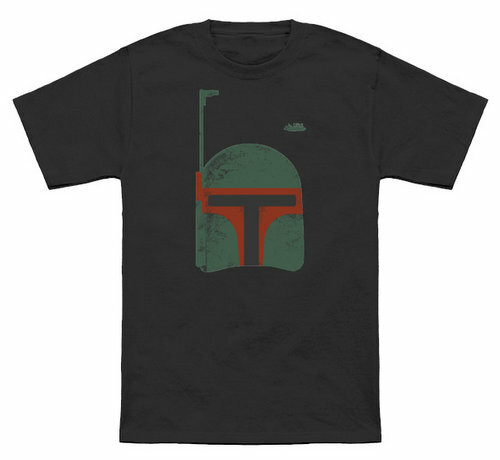 Show your Bounty Hunting Fett love with this dark and brooding Boba Fett Tee. Find More Great Tees on MickeyFix.com! Nothin’ beats a good t-shirt! Whether you’re into all things Star Wars, or you like to mix it up with a little Ariel and a splash of Classic Mickey, we’ve got you covered…literally…with our T-Shirt Collection. Head over to Mickey Fix to check out our awesome assortment of Disney Apparel and then take a gander at our fantastic Disney Finds Under $50!